Hamburg (renewablepress) - The Nordex Group will in future also produce its own rotor blades in Mexico. To this end, the company will set up a production facility in Matamoros, in the state of Tamaulipas. 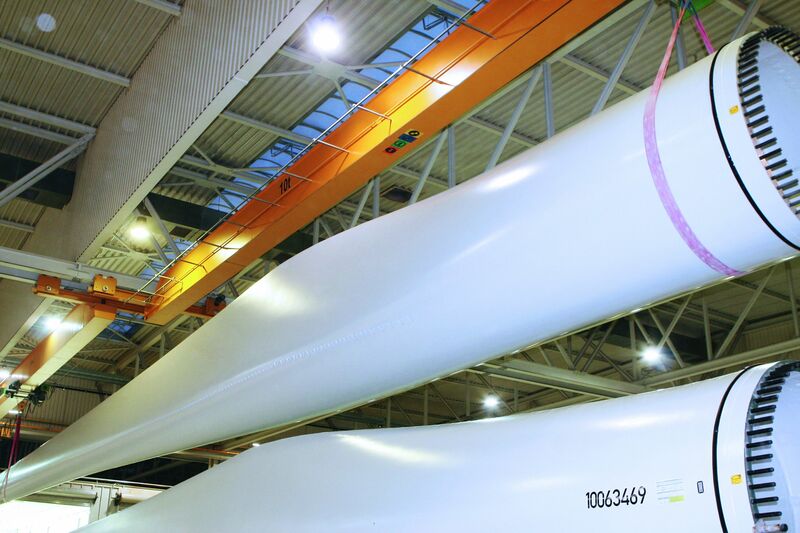 Moving forward, rotor blades totalling more than 1GW capacity per year will be produced there for both the local and global markets. Production will be equally extended to rotor blades for the large turbines of both the AW and the Delta4000 platforms, and is scheduled to start in spring 2019. "With the plant in Matamoros, we are responding to the sharp rise in global demand for our products. In addition to the existing rotor blade production facilities in different regions, we can now also manufacture our rotor blades in the vicinity of the North and Latin American growth markets. This increases significantly our competitiveness," says José Luis Blanco, CEO of the Nordex Group. “Nordex production in Matamoros confirms that there’s confidence in Tamaulipas and contributes to the growth of the energy sector. We reaffirm the commitment to guide and support companies that are coming to our State," says Governor Francisco García Cabeza de Vaca. The production hall is currently being equipped with modern production moulds. At full capacity, the plant will create around 900 direct and indirect local jobs. The Group has installed more than 25 GW of wind energy capacity in over 40 markets and in 2017 generated revenues of EUR 3.1 billion. The company currently has more than 5,000 employees. The joint manufacturing capacity includes factories in Germany, Spain, Brazil, the United States and India. The product portfolio is focused on onshore turbines in the 1.5 to 4.8 MW class, which are tailor-made for the market requirements in countries with limited space and regions with limited grid capacity.